The policies that follow apply to the advertised broadband Internet services offered by COTC Connections. (COTC Connections additionally offers business-level services that may be customized to customer requirements. Information on customized business-level services may be obtained by contacting COTC Connections at 918-987-1414.) COTC Connections desires to provide robust and reliable broadband Internet service to its residential and business customers. COTC Connections uses reasonable network management practices consistent with industry standards to ensure the reliability of its network is maintained and to minimize network issues. COTC Connections does not block access to or discriminate against any lawful website or Internet application and supports the ability of users to select and attach the equipment of their choice behind their modem as long as that equipment is used for a lawful purpose consistent with COTC Connections’ Broadband Acceptable Use Policy (see below) and does not detrimentally affect the network or degrade performance of the network for other customers. COTC Connections’ broadband customers should familiarize themselves with the following policies, which are considered part of their COTC Connections service agreement. By using COTC Connections’ broadband Internet services, a customer accepts and agrees to adhere to the policies that follow. The customer also agrees to be responsible for compliance with these policies by third parties who use the customer’s subscribed services or equipment to access the COTC Connections broadband network. COTC Connections provides broadband Internet services to residential and business customers using digital subscriber line (“DSL”), fiber-to-the-home (“FTTH”), and fixed-wireless (“Wireless”) technologies. COTC Connections’ customer DSL modems, wireless modems, and other proprietary network gateways (hereinafter collectively referred to as “modems”) are configured to pass data between the modem and the COTC Connections gateway router at the speed of the plan for which the customer has subscribed. Customers can expect, on average, to receive the quoted throughput for their subscribed plan on the COTC Connections network; however COTC Connections does not guarantee that customers will achieve the speeds set forth below at all times. The listed data speeds represent the typical speeds a customer can expect to experience under normal operating conditions. Throughput to hosts on the public Internet can be affected by a number of factors outside of COTC Connections’ control, which can include (but is not limited to) external network conditions, the presence of computer viruses or malware on a customer’s computer, the age and condition of a customer’s computer or Internet-enabled device, the distance the data packets must travel between the customer and the Internet server, or the bandwidth available to the server itself. In an effort to allow customers to gauge the speed and latency of their subscribed service, COTC Connections has made a speed testing website available to its customers at http://bandwidth.cotcconnections.net. Please note that this testing site may not reflect the exact speeds listed in the plan descriptions that follow. Factors including (but not limited to) the presence of computer viruses or malware on a customer’s computer, the age and condition of a customer’s computer, or unknown and/or unreported telephone line trouble may cause reported speeds to be lower than the speeds listed in the plan descriptions. Alternatively, customers can verify speed using a variety of third-party websites, such as www.broadband.gov/qualitytest/about/ (as of November 20, 2011), to measure the provisional speeds of COTC Connections’ broadband service. Such third-party websites are not affiliated with COTC Connections and the company does make any guarantees as to the accuracy of test results obtained through those third-parties. COTC Connections’ broadband network has been designed to provide users with broadband speeds and reliability at all times, including during periods of peak demand. The network has been designed to meet current and projected traffic demands. However, as with any data network, congestion can occur, which may lead to packets being dropped or delayed, causing service delays and/or degradation. Network resources are shared by all of COTC Connections’ customers; therefore COTC Connections reserves the right to implement traffic management policies that have been designed to allow all customers to utilize their fair share of network resources during periods of higher-than-normal demand. (Some customized business-level accounts are provisioned for dedicated bandwidth. Those customers’ available bandwidth is not shared with other COTC Connections broadband customers.) In the event of network congestion, all traffic is classified as best effort. In general, COTC Connections’ broadband plan provisioned data speeds are capable of supporting applications such as real-time gaming, video streaming, and Voice over IP; but because COTC Connections does not prioritize such traffic, some applications that require real-time communications may not always perform optimally. COTC Connections does not make use of any application-specific network management practices. COTC Connections does not favor, modify, inhibit, rate control, or block any specific protocols, protocol ports or fields, or any applications or classes of applications. However, unless a customer subscribes to a customized business-level service, it is COTC Connections’ policy that a customer may not operate a publicly accessible email, web, or FTP server on the COTC Connections broadband network. 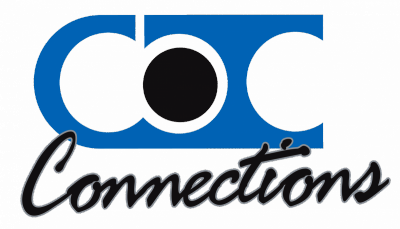 COTC Connections offers its broadband Internet customers unrestricted access to all of the lawful content, services, and applications available on the Internet. However, COTC Connections does use tools and policies to protect its customers from spam and other unwanted or harmful Internet content. When these tools and/or policies classify Internet content as harmful or unwanted, that content may be prevented from reaching customers (e.g., malware traffic may be blocked; see next paragraph), or customers may be able to inspect the content to determine if it is harmful or unwanted (e.g., customers have the option of downloading email messages that COTC Connections servers have identified as spam). COTC Connections reserves the right to limit or block network traffic without prior notice to any customer who is suspected to be in violation of the Broadband Acceptable Use Policy (see below) and/or any customer whose computer, router, or other equipment is either intentionally or unintentionally responding to DHCP requests from other customers, performing port-scans, ping floods, or other malicious activity. COTC Connections will not be held responsible for any breach or a user’s system security or losses of any kind resulting from such security breaches. This includes any data intercepted in transit on our network or the Internet. COTC Connections does not engage in any Blocking (other than reasonable network management elsewhere disclosed), Throttling (other than reasonable network management elsewhere disclosed), Affiliated Prioritization, or Paid Prioritization. DSL modems, wireless modems, or other proprietary network gateways used on the COTC Connections broadband network must be provided by COTC Connections. Customers may attach devices of their choosing to their modems, including wired or wireless routers, laptops, desktop computers, video game systems, televisions, or other network-enabled electronics equipment. However, customers are responsible for ensuring that their equipment does not harm COTC Connections’ network or impair the service of other customers. COTC Connections is not responsible for the functionality or compatibility of any equipment provided by its customers. Customers are responsible for securing their own equipment to prevent unauthorized access to COTC Connections’ broadband network by third parties and will be held responsible for the actions of such third parties who gain unauthorized access through unsecured customer equipment. • Using COTC Connections Broadband Service for illegal purposes. • Using COTC Connections Broadband Service to transmit threatening, obscene, or harassing materials. • Using COTC Connections Broadband Service to interfere with or to disrupt network use, services, or equipment. Disruptions include, but are not limited to, distribution of unsolicited advertising, propagation of computer viruses or worms, and using the network to make unauthorized entry to any other machine accessible via the network. • Using COTC Connections Broadband Service to transmit any material in violation of any U.S., state, or local regulation which may include, but is not limited to, copyrighted material, threatening, obscene, libelous, or defamatory material, or material protected by trade secret.